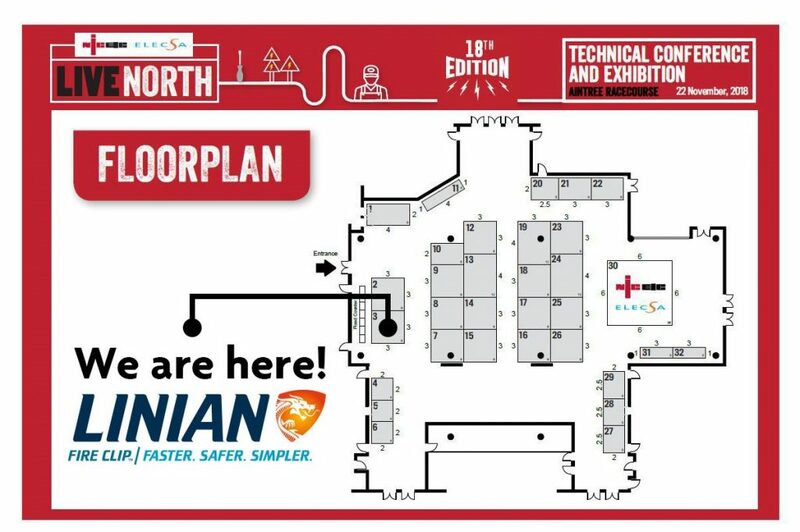 Team LINIAN are delighted to announce that we will be exhibiting at the NICEIC ELECSA Live North Exhibition at Aintree Racecourse, Liverpool on 22nd November. You can find us at stand 3 where we will be demonstrating how our products have been at the forefront of driving the installation revolution. Let us show you how easy it will be to comply with the 18th Edition this January using our patented faster, safer and simpler single component solutions. 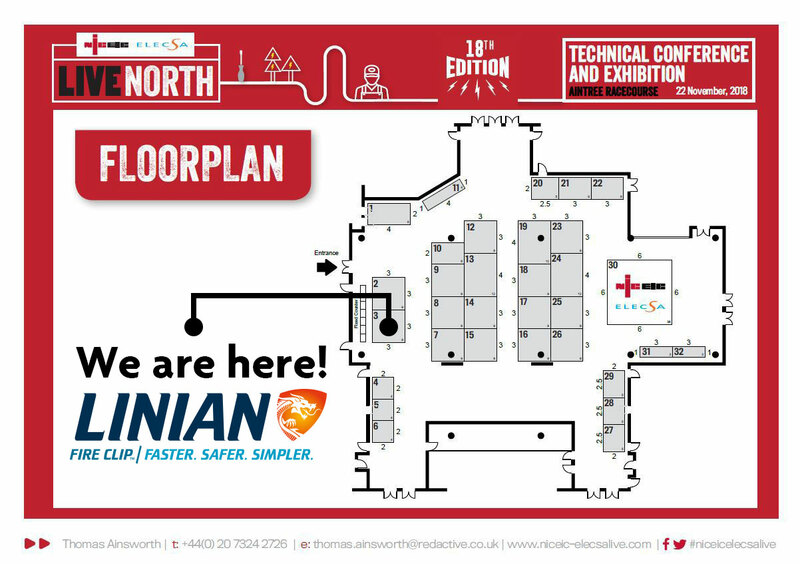 A permanent fixture in the industry calendar, Live North provides unrivalled technical content and a thriving trade exhibition. 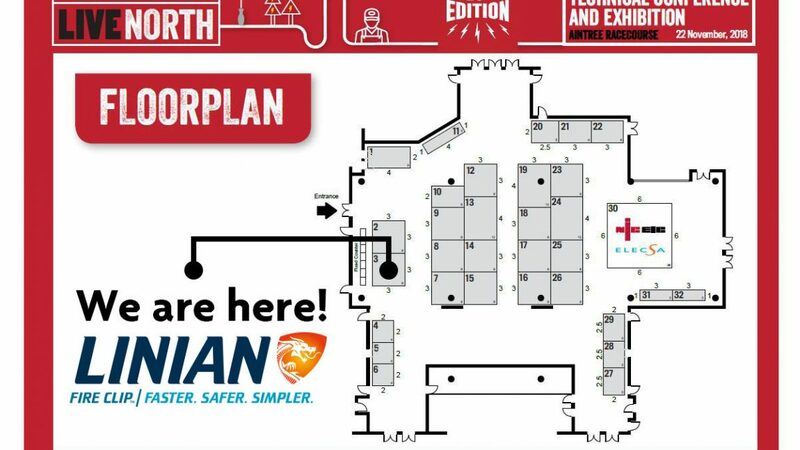 This years’ Live North will explore the upcoming trends through a packed programme of technical and business seminars and exhibitions designed to keep attendees up-to-date and ahead of the competition. NICEIC and ELECSA are the UK’s leading membership bodies in the electrical contracting industry. Over 34,000 contractors are registered and take advantage of their range of products and services. NICEIC & ELECSA will be releasing an app for attendees to use during the event, this will include a schedule of the day, key speakers, offers, exhibitors and games. The exhibition will provide a great opportunity for attendees to explore new products, quiz manufacturers and test new technologies. For LINIAN, our focus has and always will be our customers. Working closely with them helps us continue to drive innovation and our vision forward providing people with products of maximum efficiency at a minimum cost. We look forward to making quality contacts with a high caliber audience of electrical industry professionals. This event is aimed at electrical contractors, wholesalers, architects, consulting engineers, student engineers, facility managers and electricians. Maybe you’d like to sample the LINIAN Fire Clip for yourself? Visit us at stand 3 to find out more about the installation revolution! Click here to register.